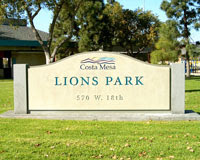 According to the age nda for the Costa Mesa City Council meeting on Tuesday, August 21, 2007, there will be an item on the Consent Calendar to fund the design of a new skate park at Lions Park. This is a curious turn of events, since no official determination has been made yet as to the location of the new park. It's made more curious by this item being placed on the Consent Calendar, where - like a stealth bomber sliding under the radar - it might have slipped past unnoticed and been voted upon with all the other items on the calendar. I suspect now that it's very likely that someone will pull this item for separate discussion. Almost everyone in town knows that former (and maybe future?) mayor Gary Monahan has be en lobbying hard for the new skate park to be constructed at Lions Park, right on the spot where the Fish Fry is held each year. I wouldn't be surprised by a healthy turnout by members of the Lions Club to address this issue on Tuesday. After all, the Fish Fry is a tradition in this city going back more than a half century - one in which you can eat, have fun and see municipal leaders splattering hot grease on themselves while wearing those ego-busting fish hats! I know there have been conversations among some of the movers and shakers in this town about relocating the Fish Fry, perhaps to Fairview Park. There has also been talk of resurrecting the parade that was once the high point of the annual event. Sure, there's plenty of space for the festivities at Fairview Park, but that location lacks some critical facilities necessary for the Fish Fry - like a kitchen to prepare and clean up for the meals being served, for example. I'm sure there are no problems that cannot be resolved, but the cost might be prohibitive. WHENCE THE BUMS AND DERELICTS? Regarding Lions Park, do we really want to place a skate park at a venue presently inhabited by homeless, drunks and other derelicts to the extent that young mothers are reluctant to take their children to the park? It's always struck me as curious that such a large number of those folks infest a park with a police sub-station right across the street. IS IT A "DONE DEAL"? I realize that simply authorizing a preliminary design of a skate park at Lions Park doesn't ne cessarily mean one will be built at that location. However, with this expenditure of nearly $80,000 of taxpayers dollars by our "conservative" majority, it sure does look like a done deal to me. Of course, if you've got an unbreakable majority, you don't really have to worry about approvals in the future, do you? The least Mansoor and his pals could do would be to make it look like an above-board deal, for goodness sake. Hopefully, our young jailer/mayor has been practicing his skate boarding skills in the two years since the dedication of the Volcom Skate Park. Stiff legs don't get it. Why put a skate park at Lions Park? That is idiotic! What about the vast expanse of Fairview Park? Maybe with a skate park there, ther might be some justification for that ridiculous bridge to nowhere. Seriously, Lions Park is what the majority in this City is clamoring for more of - a PARK. Skate parks cater to a small demographic. You can't play catch, or soccer, or frisbee or ANYTHING at a skate park except SKATING. Don't we already have one? YES! Any statistics on its use? Are there lines to use it? Are people getting turned away? If so, don't rob Peter to pay Paul and sacrifice one park for another. Lions Park is accounted for, small, and hemmed in. It is also heavily used and needed. Fairview Park is underutilized, has a stupid bridge that needs some traffic, and has the space. Plus, it is right next to a high school! Talk about thoughtful urban planning! How about putting a skate park next to the skaters who will actually use it! Rob – I live right by the existing skate park and it is used very heavily. There are lines, crowds, and it is very very entertaining. I even use it occasionally now that my kids are into it. Facts are these venues are what our youth are after now. You should try it is a load of fun. Lyons Park as far as what I see could use this space. Right now its bum city, it has old and outdated features, a skate park would be perfect there. The parks do not require vast open space so Fairview should maintain its open, nature like features. But here is a shocker for Geoff, I agree with my good friend Foley, she wants a bigger and better skate park, something more like Vans at the block, I agree it would be a nice to have. However, I don’t think Lyons would accommodate such a skate park, but I also don’t believe the city should be the one to front such a place wither. Putting in another skate park on city property, on the same scale as Vans would be a tremendous cost. Maybe negotiating a private, pay to use skate park somewhere else is the ultimate outcome, but I still would like to see another free city run skate park too. i like your idea about a private skate park quite a bit. I really feel strongly that Lions park is wholly inappropriate, for a number of reasons, from the loss of park-land to the loss of the Fish Fry, to parking issues. I'm glad to hear that the Volcom Skate Park is so heavily used! So what is the rpoblem with Fairview Park? Tonds of parking, tons of land, and a non-traffic impacted area? seems like the absolutely BEST location for a new skate park! Rob and Andrew, it might be informative if you read the profile about Mike Scheafer in the Daily Pilot today. The issue of the "damage" to the ball field is addressed. Previously, the city staff insisted on watering that field on the normal schedule, which made it much too soft to support the apparatus without digging holes. By simply not watering for a couple days in advance the problem was resolved. Thanks for the dialogue here. Couldn't they do the Fish Fry in a small corner of the fairgrounds parking lot? Just a thought. And a skate park at Fairview seems to make sense, too. But nothing like Van's at the Block - that's a large commercial enterprise that would bring skaters from across the county - there's no room for something like that in Costa Mesa - other than Triangle Square. Rob – I do not believe Fairview is the correct venue for something like this. Its excluded from most of the city, wide open, and more nature like. Lions park is a good central location that can offer the skaters a nearby place to go and have lunch or get some ice cream. I also believe Lyons has served its purpose as a family park with the amount of homeless and the rundown amenities; it needs something to spark life into it. If the Lions party is the only driver for not implementing the skate park then I am sure something could be done to help both sides come to an agreement. I was going to actually propose the use of the fairgrounds, as Mike did, it is a perfect place to hold events like this and would server more people. This is something our entire City council needs to come to agreement on. It is something that all parties want in some sort or fashion in some place or another. I think us as adults need to stop trying to relive our past through our kids. What we think is important; throwing balls and flying kites, kids now days want action and places that server their generation. 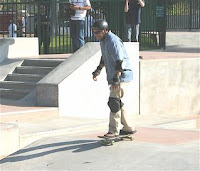 Skate parks offer a safe and secure place for them to practice something they love. I know growing up I was as against skaters as anyone, but I see now its something that is here to stay ad gives a lot of kids something to strive to be god at as well as getting them outdoors. Adaptation is the key. We as adults should have the foresight to see what is what the kids want. Personally, I enjoy the fish fry and I don't give 2 cents if the kids in the community do or not. As long as there are residents that participate, I applaud the Lions for continuing the project. We have a skate park, a dog park, one or more pensive parks, or was that passive? We can have a Lions park. We don't need to give up one for another. Maybe they should build it where they are tearing down those three apartment complexes to build a park. If we are going to stop reliving our childhood through our children then let's get rid of the baseball and football fields around the city. After all, very few kids would gravitate to those activities without parental direction. For that matter we might as well bulldoze the churches as well. What kid would give up their free time for religious services? But I digress. The real issue here is not if Lions Park is the right place, but the city putting the cart before the horse and spending money on designing a facility there before hearing from the public. Let's just say that after public input the council decides to build somewhere else, then we pay for new, or at the very least revised plans. What a waste of taxpayers' dollars. Which of the council members claim to be fiscally conservative? Bruce presents a fantastic suggestion! The complaints about Lions and the existing uses will be exactly duplicated at the new Shalimar Park, if it goes forward. If you have transients hanging out at a park adjacent to a police substation, it is reasonable to think that they will totally infest a nice stretch of grass a few blocks away! Why destroy Lions Park when you could put a new skate Park right in the middle of one of the historically worst areas of Costa Mesa - Shalimar! Talk about revitalization. I don't know if Bruce will speak again tonight, but perhaps he should. That is a brilliant suggestion! The park is not Lyons Park, it is Lions Park, named after the Lions Park. As for the fairgrounds. The Lions have looked at the fairgrounds for years. Problem, the fair will only let the Fish Fry operate inside the gates and would charge the Lions Club upwards of $70,000 to hold the event. We would have to charge for parking and admission, something we have never done. Is this the same Bruce Krochman that applauds every lame idea the NMUSD admin pushes. Seems the theme not giving rats about the kids in CM goes well beyond the Lions or Lyons Park. I did not say we don’t need other fields for other uses; fact is this park is a dump and needs something to revitalize it. Be it a skate park or a condo conversion something else is better there then what is now. Alas, I was committed to a Scout Troop meeting tonight. I hope someone else had a more insightful suggestion than mine. Or if they used my suggestion had a good argument for proposing it. As you know my most compelling argument would have been a version of Anywhere But My Backyard, or in this case Anywhere But Lions Park. It looks like a great compromise is in the works regarding this issue. A smaller skate park at Lions will be explored, along with a much larger destination type skate park at Fairview Park. Just ideas at this point, but it became clear that the council is very behind skate parks in Costa Mesa, and that a majority of council members listened carefully to the concerns of the Lions Park neighbors and supporters. It is clear that eliminating the picnic area, tot lot, and plane are non-starters with a clear majority of the council - and not the usual 3-2! I'm sure that Geoff will give us a much more detailed breakdown, as I left after the skate park vote.